h,kxkWe look at the countdown to automatic spending cuts on March 1, China's alleged hacking of U.S. businesses, and gun violence in America as part of the PBS special programming 'After Newtown.' Joining Gwen: John Harwood, CNBC and New York Times; David Sanger, New York Times; Molly Ball, The Atlantic; Sari Horwitz, Washington Post. PRESIDENT BARACK OBAMA: (From tape.) FBI agents will be furloughed. Federal prosecutors will have to close cases and let criminals go. SENATOR RAND PAUL (R-KY): (From tape.) He proposed the sequester. It was his idea. He signed it into law, and now he’s going to tell us that, oh, it’s all our fault. MR. : (From tape.) This is very damaging national security. Secretary Panetta and I’ve been saying it for 16 months. MS. IFILL: Across the board, budget cuts loom. But as fingers are pointed in Washington, is the sky really falling? Who’s hacking the U.S., its companies, its government, its citizens? And what are we doing about it? Plus, two months after Newtown. PRESIDENT OBAMA: (From tape.) The families of Newtown deserve a vote. MS. IFILL: As a week of special PBS coverage on gun violence draws to a close, we examine the ongoing debate in Washington, in state houses, in city halls. CONNECTICUT GOVERNOR DANNEL MALLOY (D): (From tape.) If a gun that was used 69 days ago to slaughter 20 children and six adults isn’t an assault weapon, then they don’t exist. 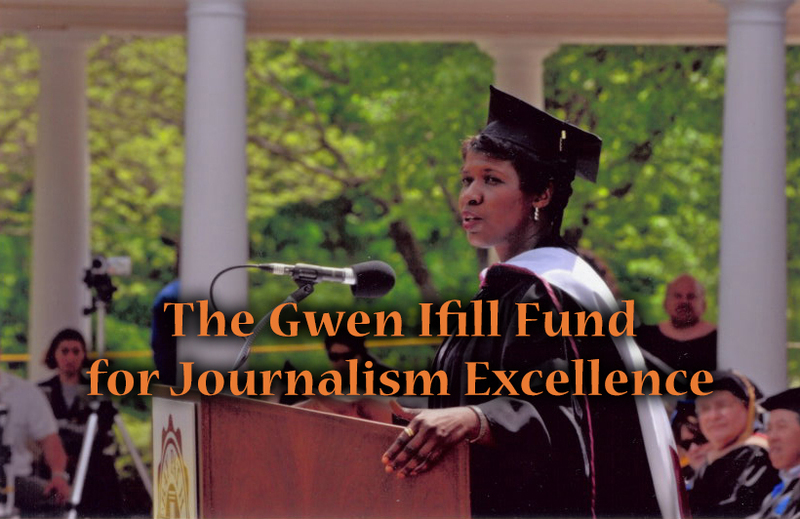 MS. IFILL: A debate that is just beginning. Covering the week, John Harwood of CNBC and the New York Times, David Sanger of the New York Times, Molly Ball of the Atlantic, and Sari Horwitz of the Washington Post. MS. IFILL: Good evening. Congress wasn’t even in session this week, yet, the fight over spending and debt raged on. With the March 1st deadline on the horizon, Democrats and Republicans sparred about who would be hurt and who would be blamed if across-the-board budget cuts both agreed to go into effect. The White House used its superior bully pulpit to grand effect. Today, we heard from the president and from Transportation Secretary Ray LaHood, the cabinet’s lone Republican. SECRETARY OF TRANSPORTATION RAY LAHOOD: (From tape.) What I’m trying to do is to wake up members of the Congress on the Republican side to the idea that they need to come to the table, offer a proposal, so that we don’t have to have this kind of calamity in air service in America. MS. IFILL: LaHood said air traffic and safety would be disrupted. Defense Secretary Leon Panetta said the nation will be less safe, but how big a deal is this really? Republicans say it’s overblown. And how much does the public really care, John? JOHN HARWOOD: Well, it’s a big deal, but it’s not as dramatic as a government shutdown, where everybody can see that the Washington Monument’s closed, although you left out one of the big effects. The Interior Department announced today that visitor to national parks will find locked restrooms many places around the country. That’s – talk about the hammer coming down. But look, it’s one of those things that the effects will build over time. Airline waits will get longer and this is one of the things that people who want a long-term budget deal, including the president, including some Republicans, want to happen, because the public, which favors spending cuts in the abstract, the more they see actual consequences, if they’ve got to wait longer, if they feel less safe, if they think that the federal prosecutors aren’t going to be on their job, as President Obama said, then they’ll put more heat on the two parties to come together and make a deal. MS. IFILL: Is March 1st the date or is March 27th the real date that we should be watching? MR. HARWOOD: Well, neither one of them is necessarily the real date. There’s sort of a rolling crescendo of deadlines because you have March 1st, where the sequester would take effect, those indiscriminate, across the board budget cuts, $85 billion through the rest of the year if they stay in effect. March 27th is when the government runs out of money. Unless they pass legislation, the government won’t have – that potentially could be a more dramatic effect, although both sides are saying they’re going to take a government shutdown off the table. But after that, you’ve got the debt limit, which expires in the middle of May. So at some point in the spring or summer, I expect that the two sides are finally going to decide that they fought long enough. The public has simmered long enough that they’ll have some negotiations and make a deal, but we’re just not there yet. DAVID SANGER: John, one of the reasons that this deal came together at the beginning when the sequester was invented was the theory that Republicans would never want to see the defense budget cut as sharply as it’s going to be, 7 to 8 percent, something like that. Now as we’re getting close to it, I don’t hear many Republicans sounding very concerned about the defense cuts. Can you explain why this is? MR. HARWOOD: Well, first of all, they are big cuts, talking about $50 billion. MR. HARWOOD: Some Republicans who represent districts that are very defense sensitive are complaining about it, but generally speaking, as a party, Republicans have decided that this is their hammer right now – that they gave tax increases at the end of the year to President Obama, now it’s time for spending cuts, and this is a failsafe way that they’re going to get spending cuts and that they can live with them. Democrats don’t like the fact that discretionary spending is going to be cut as well. You know, President Obama’s also been warning, in addition to the warnings from Panetta, about the effects on teachers, federal subsidies for teachers, on Head Start, on meat inspections, all sorts of domestic functions of government the Democrats believe in and that all Americans believe in. But the problem is that unless you can prove to a public that is pretty skeptical of government that there’re real consequences, it’s hard to put effective heed on Republicans to say, hey, raise some more taxes. SARI HORWITZ: John, how long do you think, if this goes into effect, it could last, and who will feel most of the impact in your opinion? MR. HARWOOD: Well, I don’t think it’s going to last all year. I think there will be a deal sometime in the spring or early summer. And I think that deal will happen when you get negotiations on entitlement programs between Democrats and Republicans. Republicans will find a way through the process of tax reform, which involves closing loopholes to lower rates, but also to use some to reduce the deficit, that is all going to come together and I think turn of these automatic cuts at some point. It’s hard to say when. But the biggest dollar impact is going to be, as David and I were talking about a moment ago, on the Pentagon, $50 billion in percentage wise. Pentagon gets hit harder than domestic departments. MOLLY BALL: So much of the dialogue this week is focused on finger pointing and trying to assign blame for this. Who do you think is winning that battle? Who do you think will get blamed when if terrible things happen? MS. IFILL: Everybody’s handprints are on it. MR. HARWOOD: They all own it. MS. BALL: That was the point. MR. HARWOOD: That was exactly the point. They did it knowingly, both parties knowingly, consenting adults, knew that they were designing something that was designed to be so bad that it produced a deal. It’s just that they haven’t been able to get to the deal. In terms of who’s winning the message war narrowly, it’s a little hard to say. President Obama’s got the high side. He won the election. The public tends to support – if you lay out all his policy positions – support where he’s coming from, the idea of a balanced approach, taxing the rich more, as well as spending cuts. But the idea of cutting spending, in general, is a very popular idea and Republicans are riding that at the moment. MR. HARWOOD: Well, they may have heard everybody saying how stupid an idea it is and that Washington’s going through it anyway. MS. IFILL: Oh, there you go. OK, we’re going to move on because there is new evidence this week that we are more vulnerable than we thought. ATTORNEY GENERAL ERIC HOLDER: (From tape.) There are only two categories of companies affected by trade secret theft, those that know they’ve been compromised and those that don’t know it yet. MS. IFILL: And also turns out that if you’re in Washington and you haven’t been hacked you’re no one. It turns out that we are in the middle of a cyberwar that’s hacked government and corporate computers, the culprit, according to a detailed report released this week by an American security firm, is the government of China. David Sanger has covered this extensively, so what have we learned? MR. HARWOOD: Because New York Times is somebody. MR. SANGER: Well, you know, whether we were somebody or not, for months, a Chinese entity, not the one we ended up writing about this week, was going in, we presume, looking for sources and so forth. But the Times is hardly the only one. Wall Street Journal, Washington Post, it’s hard to find an institution that wasn’t. The group that we wrote about this week was – is known in the hacker world as Comment Crew and what Mandiant did – which is a computer security firm here in the D.C. area – is track back all of the forensic evidence, including the unique addresses for a number of these computers. And all came back to a single neighborhood in Shanghai, out near the big modern airport that the Chinese had built, where Unit 61398, which is a unit of the People’s Liberation Army, they’re a cyberunit, so they’re equivalent of our National Security Agency, has its big 12-storey headquarters. MR. SANGER: Coincidently. So you’d either have to believe that the hackers were operating from inside that building or from the noodle shops that are right around it. And the Chinese government did what the Chinese government always does, which is deny they had anything to do with this, but this made it even harder for the Obama administration, which has tried to avoid directly criticizing the Chinese in public, even though they’ve raised this many times in private. MS. HORWITZ: You know, let me ask you a question about another cyberstory. You broke a big story on the Stuxnet virus and Iran. And there was a lot of consternation in the government about this story and a big leak investigation about where you got the information. How is what we did with regard to Iran different than what you’re talking about China doing to us? And also, whatever happened to the leak investigation, did you get subpoenaed, what – what’s going on with that? MR. SANGER: The leak investigation is still underway and it’s broader than just the story I wrote. But we think that’s still going. But you raise a fascinating question, which is if the United States is doing this, how can we go off and criticize other countries? Well, the U.S. doesn’t admit to owning cyberweapons either, just as the Chinese don’t. MR. SANGER: And it makes it very hard to put together rules about how you would use cyber or not if nobody will admit to having a weapon. At least in the nuclear age, we knew who had all of the weapons. We did, the Soviets did, and so forth. In this case, the American position is that the U.S. never uses any weapon that it has to support individual American corporations. And yet, the Chinese, from most of the hacking we’ve seen, not all but most, seem to be going in to get trade secrets, industrial secrets, processes, things that would enable them to keep trying to grow with 6 or 7 percent. The U.S. presumably just uses its cybertools the way it did in Iran, which was, in that case, to try to mess up the Iranian enrichment or uranium and try to slow that process, sort of another way of doing ordinary covert action. MR. HARWOOD: So David, is the goal of what the Chinese appear to be doing and this military unit seems to be doing to understand aspects of the U.S. economy for competitive reasons, as opposed to affirmatively trying to harm U.S. corporations, take down their operations, which one might interpret as an act of economic warfare. MR. SANGER: No one has yet seen a case where they’ve really tried to bring things down. There have been some worrisome cases, including one we wrote about, involving a Canadian firm called Telvent that controls the pipelines used for oil and gas throughout the United States and Mexico. And the Chinese appear to have gotten a lot of the software about how you turn those valves on and off, but it may have been simply to understand how the valves work for the industrial processes. The PLA, you have to remember, they’re an army, but they also have huge interest in the state owned industries in China, so it’s not completely above them to want to steal the industrial secrets from the companies that keep the PLA budget alive. MR. HARWOOD: So it’s another way of pursuing American intellectual property. MR. SANGER: By and large that’s it and when you heard Attorney General Holder and others announce a program this week, it was to avoid intellectual property theft and almost never used the word “cyber” in the course of that. So there’re all kinds of ways to steal intellectual property. MS. BALL: David, you mentioned this is an undertaking of the Chinese military. What do we think the civilian leadership knows and is interested in, in this program? MR. SANGER: You know, Molly, this is a great mystery because many times American officials have raised this with civilians, they say we know nothing about it or we don’t think our army does this. So the question is, is the army acting on its own or are they acting under orders? MS. IFILL: And how enduring a cyberwar might result and what might happen as a result? MR. SANGER: It’s been underway for years and it’s going to go on for years. MS. IFILL: Yeah. Well, thanks, David. Two months after the Newtown, Connecticut, massacre that claimed the lives of 20 children and six adults at Sandy Hook Elementary School, something unexpected has occurred. The debate over gun violence, which usually flares up and then fades away, is still going on. On Capitol Hill, at the White House, in state houses, in city halls, and in greedy political campaigns, the discussion about gun violence is going strong. VICE PRESIDENT JOE BIDEN: (From tape.) They say it isn’t about guns. They’re wrong. It is about guns. (Applause.) And let me say at the outset to all the press, no law abiding citizen in the United States of America has any fear that their constitutional rights will be infringed in any way, none, zero. SENATOR TED CRUZ (R-TX): (From tape.) I don’t think Washington politicians, trying to score political points, should be taking away a fundamental individual right, a right the Supreme Court has said every law abiding American is guaranteed by the Bill of Rights. MS. IFILL: As part of our week long PBS initiative “After Newtown,” we turn now to an assessment of where the debate stands. Molly, is the policy debate different this time? Does it feel like it’s different this time? MS. BALL: Today, trying to mobilize that grassroots army that the Obama campaign turned out so successfully, turn it toward this issue. This is the one issue that they are targeting at this time, and really trying to put pressure from the constituent level on lawmakers to make the move on this, to not let this be another missed opportunity, where the issue falls off the radar, as it so often has in the past. MS. IFILL: And Sari, is the same thing happening as well in state capitals or outside of Washington? MS. HORWITZ: It is certainly happening outside of Washington. Literally since Newtown, there have been hundreds of bills introduced in legislatures across the country. I brought this as a prop. This is an Excel spreadsheet of all the bills introduced since Newtown, hundreds of them, half a dozen each page, from California to New Mexico, to Illinois, to Connecticut, to New York, to Colorado. We’re seeing legislation that really mirrors a lot of what we’re seeing on the federal level: assault weapon ban, background checks, universal background checks, some kind of limit or ban or high capacity ammunition magazines. And it’s interesting because I’ve interviewed industry, gun industry executives and gun rights advocates, who seem to be more concerned about what’s happening across the country in state house and more worried about that than really they are about Congress. MR. HARWOOD: Molly, let me ask you about the legislative prospects. One of the things that we’ve heard is that there’re some measures that are popular enough – background checks, limiting the capacity perhaps of some of the magazines, that are popular enough to get through the Congress, but not the assault weapons bad. Do you share that view? Is that not going to go through the Congress, and what’s changed from 1994, when it did, until now? MS. BALL: I think it’s almost definitely true that the assault weapons ban is not going to pass. We’re not going to see a new assault weapons ban. We’ve seen even Democrats on this issue – Harry Reid, Senator Leahy – talking pretty dismissively about the assault weapons ban. MS. IFILL: No weapons ban of any kind really. MS. BALL: Right. Although the magazine restrictions, which had been part of assault weapons legislation in the past, they still appear to be on the table. The background check measure, as you mention, is astronomically popular with the public, something like 90 percent of Americans support it, including majority of gun owners and even NRA members. And it does seem to be a bit of a clever tactic also on the part of gun control activists to give some moderate politicians a way to triangulate on this issue. So they can say I’m not for the assault weapons ban. That’s a bridge too far. That’s extreme. But I do support this lesser measure, even though the irony is that something like expanding background checks has the potential to affect a much broader potential policy impact in terms of the number of gun crimes. MR. SANGER: Molly, you said that a number of NRA members are in favor of the background checks. We haven’t heard the NRA itself say that they’re in favor of it. Are they backing off on the background check issue, since it is such a popular initiative? MS. BALL: At least in public, they have not backed off at all. And this is a bit of a flip-flop for them. Back in 1999, the last time this issue was debated, the NRA actually did come out in support of expanded background checks. This time they’ve taken a very hard line and they say that the reason for that is that they have studied the issue and concluded that background checks don’t work. But at least in terms of their public posture, the NRA’s taken a very hard line – in fact, there was a commercial run during the Super Bowl, highlighting the change in the NRA stance and the fact that they did previously take a softer position. MS. IFILL: Sari – I just want to add – go ahead. MR. SANGER: I was going to say if there was – if there were background checks in major states, would that force the legislation at the federal level? MS. HORWITZ: Not necessarily. I mean, it’s interesting. The universal background checks is, as Molly said, is sort of the sweet spot about what’s politically possible in this environment right now. And we’re seeing even, you know, new groups start, this group by Gabby Giffords and Mark Kelly, Americans for Responsible Solutions, and their main focus are the background checks, both in state houses and on the federal level. MS. IFILL: Let’s go to one state house, Colorado, which had some action this week. What did they do? MS. HORWITZ: Colorado is such an interesting state and everybody’s watching Colorado because here you have a state that’s a western state, conservative, independent, purple state. They passed four bills in the House. And these bills were universal background checks, assault weapons ban, high capacity magazine limit, all these national level issues. This – these bills go to the Senate now. Everyone expects they’re going to pass. They’ll be signed by the governor. So that’s a very interesting thing. Now, Colorado, of course, has lived in the shadow of Columbine and Aurora, but it’s a very interesting bellwether state to all of – to watch. MR. HARWOOD: Sari, when you look around the map, do you find that progress at the state level tends to happen in blue states and not so much in red states, or is it more mixed up than that? MS. HORWITZ: Well, it depends what you mean by progress. I mean, I think that the NRA would say and gun rights advocates say they’re having lots of success in red states on their proposals. It’s interesting. An NRA lobbyist, just last week, said at a gun convention in Wisconsin, we’re going to kind of wait till the Connecticut effect subsides with our agenda. And so they are a bit. But in red states, we’re seeing them push legislation to – for people who have – concealed carry permits to not have to have the permit and to allow guns to be carried, for example, in bars and restaurants and parking lots. And so you’re seeing that on their agenda. MS. BALL: Absolutely. It’s a bit of a problem for them that they haven’t really come up with a better term that is catchy enough to really dominate the discourse. But for example, when the vice president unveiled the conclusions of his task force and the president also spoke, neither of them used the phrase “gun control” a single time, rather dozens of times they said “gun violence prevention.” And that has become one of the preferred, I guess you could say, euphemisms for this, and the reasoning is that when a lot of moderate to conservative voters hear the word “control,” it sort of triggers a reflex in conservatives that sounds like the government controlling your life. It sounds like taking guns away, controlling guns. And so there’s been a real effort among progressives and among gun control advocates in particular to change the way we talk about this, to try to put those fears at ease, to try to say to people nobody’s going to take your gun away. MS. IFILL: Well, and yet we – as Sari alluded to the Gabby Giffords group, but Michael Bloomberg has also been out there, the mayor of New York, getting involved in congressional races and actually trying to counter the NRA. Is the fighting ground more even? MS. BALL: That’s what Bloomberg is trying to prove. And this special congressional election in Illinois is actually the second time. He also dumped a bunch of money into a California congressional race successfully last November. And we just learned today that the NRA is sending mailers now to try to counter Bloomberg in that Illinois special congressional election. But Bloomberg’s idea, and I think Gabby Giffords’ idea as well, is to provide a counterweight to the NRA because for so long the NRA has had the playing field to itself to sort of scare lawmakers and say we’re going to come after you. MS. IFILL: Final thoughts, Sari, and that’s happening in states and city councils, too, not just at the federal government. MS. HORWITZ: Well, that’s exactly right. Lots of action on the local level, for example, just last week, in Tucson, Arizona, where Gabby Giffords and where I’m from, the city council passed a measure to prevent gun shows from operating on city property if they are not going to do background checks, if everybody’s not going to do background checks. MS. IFILL: And in a suburban area here in Washington, they’re also banning gun shows. So bit by bit this is spreading. It’s going to be very interesting to watch. Thank you, everyone. The conversation has to end here, but we’ll pick up where we left off in the “Washington Week” Webcast Extra, where among other things, we’ll sort through the president’s immigration proposal. You can find that at pbs.org/Washingtonweek. Keep track of daily developments with me over on the PBS “NewsHour,” next week, including a big voting rights case at the Supreme Court and a confirmation vote for Chuck Hagel, finally. Then, we’ll explain it all right here, next week, on “Washington Week.” Good night. Border safety, debt reduction, Iranian nuclear power, Gabby Giffords role in gun debate. In the most high-profile congressional vote on gun control in years, House Democrats are set to pass a bipartisan measure this week that mandates federal background checks on all gun sales, including private transactions. One of Pittsburgh’s most solemn days began with hundreds coming together in anguish and grief in synagogues and at gravesides, to start the services for those killed as they prayed on the Sabbath. A story we're following: A shooter targeted a synagogue in Pittsburgh, Pennsylvania, and left 11 dead. The shooter was taken into custody and leaders around the country are reacting to the tragedy. President Donald Trump issued an order making it easier for the U.S. to launch cyber attacks, highlighting the potential for a counter-attack if a foreign government is found to try to meddle in congressional elections in November. 21 min 37 sec ago. 29 min 22 sec ago. 29 min 36 sec ago. 30 min 22 sec ago. 39 min 38 sec ago. 43 min 59 sec ago. 54 min 22 sec ago.